If your air conditioner doesn’t turn on it’s typically a frightening thing, because often times the thought is that the AC has died. Death of anything is never a pleasant thought. Just because your AC does not come on, doesn’t necessarily mean that you will have to buy a new one. Sometimes that is the case, but many times this situation is due to various electrical communications that determine whether the air conditioner will turn on or not. If there is a break in the electrical communication your AC needs to operate, often times it will simply shut off because it’s either a control problem or power problem in which power is interrupted for some reason. Air Conditioning requires electricity to run or operate. So the reason the AC is not operating (turning on) has to be inspected to determine the cause. 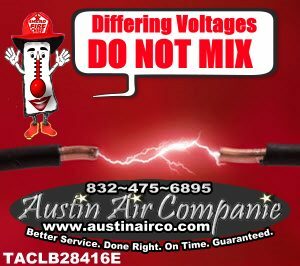 Because there are varying voltages from 24 volts to 115 volts up to 240 volts and multiple circuits for your HVAC system to operate it’s much more complicated than most people realize. We all take electricity for granted, until the day in which the power goes out. We all know the electrical grid that supplies our homes require maintenance such as the replacement of transformers and tree trimming. These services are provided to us by the power company that maintains the electrical grid that provides electrical power to our homes. We pay for these kinds of services indirectly when we pay our electric bills. A portion of your electric bill pays for the maintenance service of the electrical grid. However, these exterior electrical maintenance services do not extend to inside your home. When your electrical grid in your home breaks down and various things in your home quit working properly it’s either the device itself or the outlet or power connection to the device in question. We’ve all gone to turn on a light switch and the light bulb blows and burns out the minute the switch is turned on. Your HVAC system is similar to this kind of wear and tear, just on a larger scale. Your HVAC system is unique in that the AC system nearly always has multiple circuits and as many as 3 different voltages at most residential homes. Commercial HVAC equipment can be considerably different so realize for the purpose of this Katy, Texas Air Conditioning Blog Topic I am mostly referring to the residential HVAC market. Due to the complexity of these multiple and varying voltages required for your HVAC system to operate properly it is in your best interest to seek a LICENSED HVAC Professional to correct and repair electrical problems with your HVAC system. You can’t mix voltages. 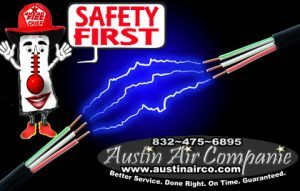 For your safety it is in your interest to seek a ‘Licensed’ HVAC professional to work on and service your HVAC system. Without proper repairs, you are risking your own safety, damage to your HVAC system up to and including major system damage. In addition to those risks you also risk the possibility of creating an unsafe condition that could cause a fire. Your home is the single largest investment that you will make in your lifetime. You do not want the experience of a house fire on your life resume. It’s not uncommon that a situation may occur in which your AC breaker trips due to a electrical storm that blows though the area in which you live. I provide you with a video below that provides basic (safe) instructions on how to perform this task to reset your AC breaker. If your system is elaborate or different than the norm it is my recommendation that you hire a licensed HVAC professional to perform this task for you and give the AC system a thorough check. You can subscribe to my You Tube Channel here. If your AC breaker continually trips the breaker or does not reset, your system is telling you there is a bigger problem that should be investigated thoroughly. 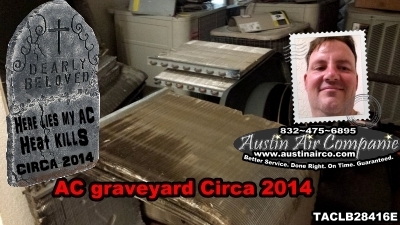 Seek the wisdom of a Licensed HVAC Contractor in these situations. Thank you for visiting me today. I hope your day is comfortable. My name is Ray Austin. I am the owner and operator of Austin Air Companie, a HVAC Service Company serving Katy, Texas | Cypress, Texas | Richmond, Texas and some surrounding areas. 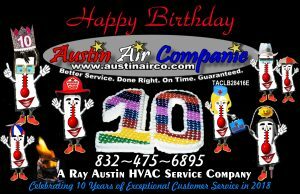 I am a Texas Licensed HVAC Contractor with 23 years experience in Air Conditioning and Heating Systems (TACLB28416E). I hold an AOS degree in HVAC/R, EPA universally certified to handle any refrigerant and NATE certified in HVAC installations and repairs. About Austin Air Companie: Celebrating 10 years in 2018.